The Canton of Zug is a perfect location for start-ups and innovative ideas. The unique “Spirit of Zug” is based on exemplary customer proximity, solution-oriented pragmatism, short distances, and professionalism. It is this very spirit helps the existing companies in the Kanton of Zug tremendously. The Canton of Zug is uniquely suited to both, business and living. Its economic success is based on a distinctive long-term development strategy, that provides excellent conditions to all members of society. It has a dense network of services, suppliers and private support organizations and a unique mix of local and international companies. Further, the Canton makes ample investment in education and culture, and provides attractive tax levels for legal entities and individuals. The availability of both, efficient infrastructure and beautiful living environment, makes the Canton of Zug optimal overall solution. The digital transformation of Zug not only concerns businesses but is also actively promoted by the government and educational institutions. As early as the summer of 2015, the City of Zug decided that fees of up to 200 Swiss francs charged by the residents’ registration office could be paid with Bitcoins as part of a pilot project. In addition, the Commercial Register of the Canton of Zug accepts its fees to be paid in Bitcoin or Ether. It also accepts the formation of companies with Bitcoin or Ether to be provided as contribution in kind. Most recently, in late 2017 the City of Zug issued the first blockchain based digital identities. The Swiss Federal Council has recognized the importance of the FinTech sector for Switzerland’s continued success as a financial center in the future. As a result, it agreed to a modification to the Bank Ordinance on August 1, 2017 allowing FinTech companies up to a certain size to develop and test out their business models without becoming immediately subject to the regulations of the financial sector. After a visit to the Crypto Valley, the Federal Minister for Economic Affairs Johann Schneider-Ammann admitted that there was a backlog at the federal level. Based on the expertise and knowledge in Zug they were keen to amend the situation quickly and to listen to the requirements of the many innovative companies. GZA (Greater Zurich Area Ltd) is the best-connected Swiss business concierge for companies looking to grow internationally. As the official investment promotion agency of the Greater Zurich Area, GZA acts as an intermediary, door opener and facilitator by guiding companies through the ecosystem of Greater Zurich and networks them with the relevant companies, research institutes, incubators, authorities, specialized service providers, associations and platforms. This creates added-value for the companies’ strategic expansion. A deep-seated culture of data protection, confidentiality and legal certainty lays the ground for the world’s best ecosystem for cryptocurrency technologies – the Crypto Valley in the Greater Zurich Area. The Greater Zurich Area offers the ideal blend of location advantages in the field of cryptocurrency; High level of legal certainty, the world’s most stringent data protection laws, pro-business philosophy and secure and reliable technical infrastructure. Above all, the decentralized, stable, predictable, highly responsive and technology-friendly Swiss political system lays the ground for business success. And most importantly: Highly qualified talents from the fields of computer science, engineering and mathematics are available in Greater Zurich for the development and implementation of innovative cryptocurrency ideas. In the rapidly changing crypto environment, the so-called Crypto Valley in the Greater Zurich Area has emerged in recent years. The Crypto Valley hosts many of the world leading blockchain and crypto startups, innovation labs, specialized service providers, incubators and accelerators – and thus creates a strong international community and unique ecosystem. The establishment of the Etherum project in Zug in 2014 laid the foundation for an unprecedented development in the Crypto Valley: Multiple high-profile projects like Xapo, Monetas, Lykke, SingularDTV, Lisk followed because of the bundled competencies in the region. Out of these activities, the Crypto Valley Association evolved as a central network to coordinate, accelerate, and scale the further development of Crypto Valley into the world’s best ecosystem for crypto technologies. The network now consists of 100+ companies from the Crypto & Blockchain sector. In general, Swiss regulators and authorities are positive and show a high acceptance of crypto and blockchain technology. Finma, the Swiss financial market regulator, for example encourages self-regulation rather than onerous top-down regulation and works closely with the community to develop the regulatory framework. Also thanks to this open and cooperative approach the Crypto Valley became Europe’s leading funding hub and one of the best places to conduct an ICO (Initial Coin Offering). Setting up the legal entity of a cryptocurrency business in Switzerland does create a sustainable, sound and stable starting point for the company. ICOs have typically been done by establishing a foundation. This, however, needs to be examined on a case-by-case basis. The world-leading institutions and universities in the Greater Zurich Area are devoting themselves more and more to issues of blockchain and crypto, such as the Professorship of Computational Social Science (COSS) at ETH Zurich. With its yearly “Blockchain and IoT Summer School”, the ETH also brings together students from the fields of computer science, engineering and mathematics, academic researchers, and security experts from industry with an interest in cryptocurrencies and blockchain technology. Overall offers the Greater Zurich Area a strong and varied pool of talent, also thanks to its deeply rooted finance and ICT clusters. A good opportunity to meet those talents in the Greater Zurich Area are the many events of the crypto & blockchain community: The Crypto Finance Conference, Finance 2.0 series, Blockchain Summit, ICO Summit, HackZurich, d10e conference or IFZ fintech & blockchain events are just a few of them. Comprised of over 800 blockchain experts, entrepreneurs, computer scientists, designers, engineers, consultants, educators, and business leaders with delivery experience across six continents, ConsenSys is the world’s largest blockchain venture production studio. Its vision is to use blockchain technology to create a world in which distributed applications and the Ethereum world computer support a new class of frictionless, global commerce with inclusion for all. ConsenSys platforms and applications range from re-imaginations of foundational industries like supply chain (Viant), energy (Grid+), journalism (Civil) and law (OpenLaw), to cornerstones of the digital asset economy (Airswap, Balanc3), and groundbreaking dApps like Ujo, Gitcoin, Bounties.Network, and Gnosis that provide real utility, create value, and are leading the way towards global, decentralized economies. ConsenSys Services provide consultation and enable partnerships in fields that run the gamut from tech to enterprise, government, education, community, and media. Some examples: The Brooklyn Project provides a platform for establishing best practices for consumer protection in the token economy, while Token Foundry spins up exceptionally engineered token launches from around the world. ConsenSys’ series of Ethereal Summit events has emerged as one of the premier meeting-places for the blockchain community, while ConsenSys Academy is training the next generation of blockchain developers and technologists. ConsenSys Ventures operates as an investment wing, while the Blockchain for Social Impact coalition is striving towards innovations that create a better world. ConsenSys Labs, our venture studio, supports entrepreneurs and developers around the world as they build on the Ethereum platform. Our educational institution, ConsenSys Academy, is developing the global blockchain ecosystem by bridging the Ethereum knowledge gap. ConsenSys Solutions helps organizations across the globe build, test, and deploy public and private blockchain solutions, while ConsenSys Capital reprsents our constellation of financial service offerings for digital assets and blockchain businesses. At the heart of ConsenSys is a host of infrastructural projects that underpin much of the Ethereum network. MetaMask, an Ethereum web browser extension, recently celebrated one million installs, while Infura directs over 6 billion traffic requests a day through the Ethereum network. The Truffle suite of developer tools has been utilized by over 250,000 developers, and uPort is poised to establish self-sovereign identity as an essential feature of the blockchain era. And keep an eye out for Alethio, a blockchain network analytics dashboard that will launch in the very near future. 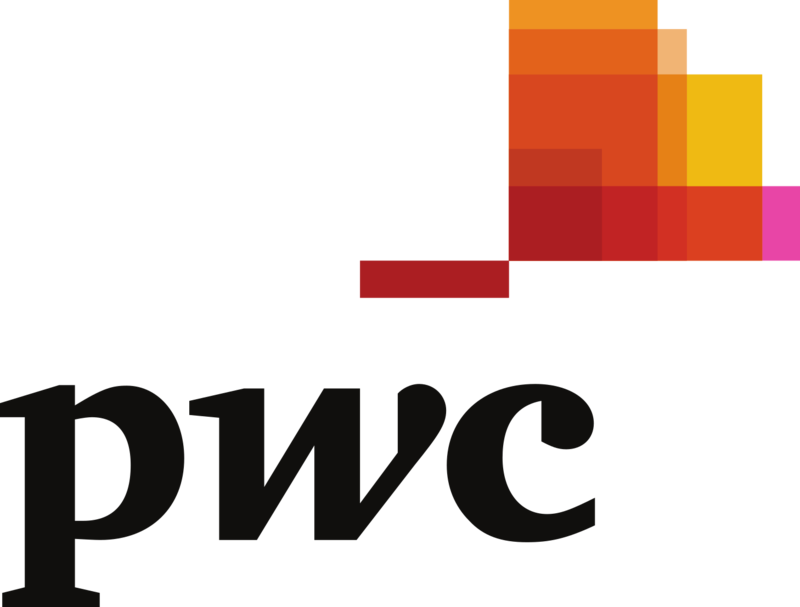 PwC Switzerland is the leading audit and advisory company in Switzerland. At PwC, our purpose is to build trust in society and solve important problems. We’re a network of firms in 158 countries with more than 236,000 people who are committed to delivering quality in assurance, advisory, tax & legal and Digital Services. Within PwC Switzerland, more than 3,000 employees and partners (in 14 locations in Switzerland and one in the Principality of Liechtenstein) are helping to create the value organisations and individuals are looking for. We believe that Blockchain has the potential to powerfully disrupt many aspects of how businesses and economies work; even how societies are organised. Blockchain goes to the core of the role of trust in markets – an area that is central to PwC’s purpose. We understand how Blockchain can revolutionise a broad range of industries – not only financial services, but also government, healthcare, education, energy, entertainment and media, and consumer markets. We focus on a set of core Blockchain offerings in cryptocurrency and payments, smart contracts, supply chain, Distributed Ledger Technology (DLT) security, DLT assurance, and identity. Transform your business in the digital age from strategy, through design, to execution. Our Blockchain team is supported by a global workforce of over 5,000 digital experts spread across 11 experience centers in PwC’s global network of firms. Our experience centers are focused on innovation and design thinking, delivering development expertise and ultimately helping one build and implement digital projects. We are key participants in the ecosystem that is defining the way forward for Blockchain technology with our membership in the Crypto Valley Association. The Health Information Traceability (HIT) Foundation offers a marketplace that allows individuals to digitize and monetize their health data and trace its usage. It seeks to address two key issues plaguing the healthcare industry: 1) Monopolization of health data leading to siloes and inefficiencies, 2) lack of incentives for individuals to digitize their health data. In HIT the individual grants access to his data under a smart contract that determines the conditions of the data usage by information seekers such as research institutions or hospitals. HIT allows everybody to get compensated for health information instead of paying others to process or store it. Blockchain technology allows to maintain the privacy of the individual and leaves health data under his sovereignty. HIT supports the global execution of new or existing business cases for information seekers on top of the HIT platform without the need for intermediaries. HIT builds on the public NEM blockchain that is suited for large scale applications and uses an energy conserving consensus algorithm. HIT is directly supported by the NEM Foundation (https://nem.io/). Personal health information is a precious good used in medical and market research, or by large internet companies that sell it on to any organization that is willing to buy it. The global Connected Health Market will be worth US$150 billion by 2024 growing at a CAGR of 30%. HIT offers a transparent platform where the creator of data can profit from providing it via smartphone or computer. Information seekers profit from a large pool of potential individuals who have entered a basic set of health-related data when they join the HIT Foundations network. Upon registering individuals provide basic information about their health status and medication intake via the HIT wallet. For this initial information they receive tokens. In a marketplace, information seekers can offer tokens in exchange for existing information or ask individuals to create new health data such as monitoring their blood pressure or patient-reported treatment outcome. Individuals can give access to additional data from apps, smartwatches and/or existing medical records. Due to its distributed architecture HIT does not need a central database! Based on smart contracts the individuals receive tokens corresponding to the “value” of the data that is assigned by the information seeker. The smart contract determines the access to the data and the transfer of token under the agreed conditions. For stakeholders that already store data it is attractive to make the individuals’ data shareable if they get a small share of the compensation that is being given by information seekers and/or if they can access additional health data. The individuals can redeem bonuses that are offered by service providers on the platform. HIT aligns network participants to achieve common goals: the growth of the network and the appreciation of the HIT token, which can be exchanged at associated token exchanges. The HIT token helps to overcome the initial bootstrap problem by adding financial utility when the application utility is low, i.e. individuals get compensated in tokens by HIT to provide their initial personal health information. The earlier they register the more tokens they get. The HIT token enables the Foundation to run open services while serving as an incentive to the network participants. It is essential to the system, as it quantifies the value of health information that cannot be achieved otherwise. Those who acquire tokens can participate in the HIT ecosystem and incentivize individuals to digitize and share health data. A growing network leads to increased token demand and value. In the future HIT tokens can serve as health community tokens. In a Token Generation Event a total of 1 billion HIT tokens (1’000’000’000) will be issued in summer 2018. The number of tokens is justified by the potential number of users and the transaction volume in the healthcare market. Tokens will be delivered to the participants 4 weeks after the token sale ends. Hit Foundation consists of an experienced team of 8 in the field of blockchain and digital health, and execution of large scale projects in regulated environments. It has a strong advisory board and is directly supported by the NEM Foundation and Netcetera, one of the biggest independent software developers in Switzerland. Hit Foundation was founded in November 2017 and is a member of the Crypto Valley Association in Zug. It takes advantage of the Crypto Valley’s thriving network, knowledgeable experts, and crypto-friendly regulation. In March 2018 the Swiss Federal Supervisory Authority for Foundations officially took HIT Foundation under its supervision, which is mandatory and certifies that HIT Foundation is here to build a sustainable platform. Together with our technology partners the HIT Foundation is currently developing its MVP which will be released in summer 2018. With our partners in the field of healthcare HIT Foundation is implementing first projects in the last quarter of 2018 before the global rollout starts in 2019. In 2020 HIT foundations eco-system will be the largest platform to access individuals for providing health-related information. 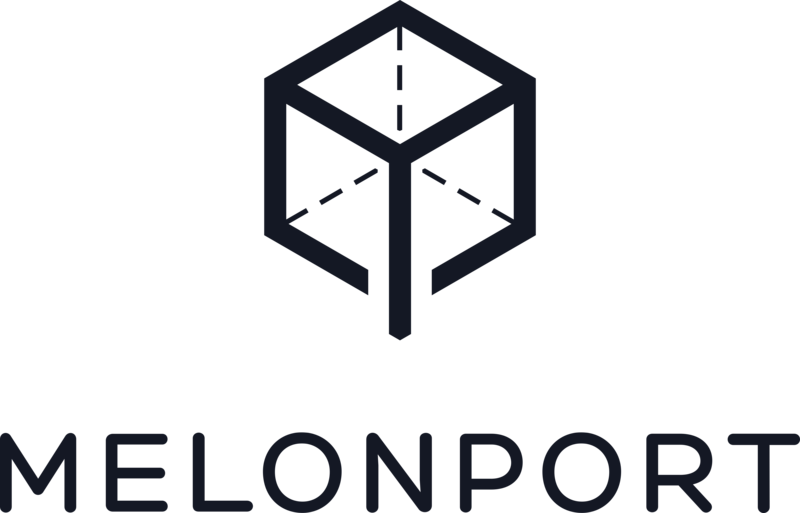 Melonport AG was officially founded by Mona El Isa and Reto Trinkler in July of 2016. It is a fully partner-owned, private company domiciled in Zug, Switzerland – the Crypto Valley. In February of 2017, the company issued 599 400 MLN tokens, raising a total of CHF 2.5 million in under 10 minutes. Melonport AG, the company, is solely responsible for the development of the Melon protocol, the product. The Melon protocol is a fully decentralized tool for both individuals as well as large institutions to set up and manage an investment fund in digital assets. Both the front-end (IPFS) and the back-end (Ethereum) are hosted and executed on decentralized platforms. One of the main assumptions on which Melon is built is that one day most traditional assets (stocks, bonds, commodities, etc.) will be stored on a blockchain or, in other words, will be tokenized. When that day comes, all those asset classes can be traded on the Melon protocol. Melon is an autonomous company which allows you to set up and operate secure, transparent digital investment funds. It aims to provide you with an alternative to the current asset management industry. When we hear about finance or asset management in the news, it is common to hear discussions around price development of a certain asset or asset class from a well-known investment professional. What is seldom in the news, but of equal importance are all the back-office processes and operations performed in the background. These processes include executing all trades, the custody of the assets, auditing the investment manager, internal accounting, on-boarding of new clients, payment of fees, etc. We summarize these services under the umbrella of fund administration services. Amongst other tasks, a fund administrator is an independent third-party service provider who protects the interests of investors by independently verifying the assets and valuation of the fund, thus, preventing the investment manager to embezzle the fund holdings. In today’s world, the fund administration industry is dominated by a few key players. The largest fund administrators are State Street, Citco and BNY Mellon and together those three companies provide the fund administration services to a majority of asset managers around the globe. Acquiring their services usually requires several months and is associated with costs between USD 50 000 – 100 000 just to get to the start-line of setting up a fund. This makes it very difficult for smaller emerging asset managers to set up their own fund. Melon aims to reduce these barriers to entry. It does so by replacing a majority of functions performed by the fund administrator with smart contracts. This not only drives down the costs of setting up and operating a fund drastically, but it also reduces the scope for human error. Melon is an autonomous fund administrator helping you to launch and manage your own investment fund. By operating on the blockchain, Melon ensures a high level of transparency, thus, inherently preventing the potential for another financial catastrophe. As Melon is a tool for people to manage their crypto assets, security is the single most important issue for us. We started to build the protocol on the Kovan test network to test the logic of our contracts in a safe environment. We had one major competition on the test network with over 700 funds set up. In February 2018, the first technology regulated investment fund was deployed on the Ethereum main network in form of a bug bounty. The protocol has undergone three independent code audits to ensure the highest standard of security and ongoing audits are in the pipeline. Melon was intended as a two-year project since its token sale and is planned to deploy in February 2019. If we could choose one thing for you to remember about Melonport, it is our values. Why we do what we do? We are passionate about lowering barriers to entry and Melon is intended to be a public good, just like the internet. We want to allow a deeper talent pool to emerge and thrive which is not boggled down by administrative headaches. The public good is designed to be permissionless, ownerless, reliable and easy to access. It should eventually provide investors and the financial industry at large with increasing transparent and secure investment alternatives. The Melonport team has committed to building and deploying the protocol over a two year period. Once deployed by early 2019, the company will take a step back and from that moment onwards it has no special privileges over Melon. MME assists, supports and represents companies and individuals in all business and business-related private matters. Our strength is our focus on a direct partner/client-relationship. MME professionals assist clients personally, comprehensively, candidly and determinedly – in Switzerland and abroad. MME’s expert advisors have established and maintain a broad global network of sophisticated specialists, and we deal with our clients’ challenges worldwide. With regard to blockchain and fintech projects, MME has set up a team of technology, banking, corporate law, distribution, tax and AML experts jointly providing solutions and expertise. Whether projects are developing, procuring, or investing in these areas, MME understands the opportunities and challenges the business can face. New technologies, such as blockchain (distributed ledger Technology | “DLT”), are part of our daily business. This assures that our legal expertise is combined with a thorough technical understanding of the technology underlying our client’s business models. Our blockchain and fintech clients range from established international institutions to some of the world’s most innovative startups with the potential to become market disrupters. Our experts remain in close contact with the authorities (e.g. FINMA or tax authorities) and are heavily involved in regulatory projects affecting the industry. MME is a founding member of the Digital Finance Compliance Association (http://en.dfca.ch/) as well as the Crypto Valley Association (https://cryptovalley.swiss/). We are also involved in the development of the legislation in Switzerland. Watch our video about the Swiss C-Share, a project with regard to the first blockchain based share certificate, or listen to Dr. Andreas Glarner, explaining the status of ICO regulation in Switzerland.